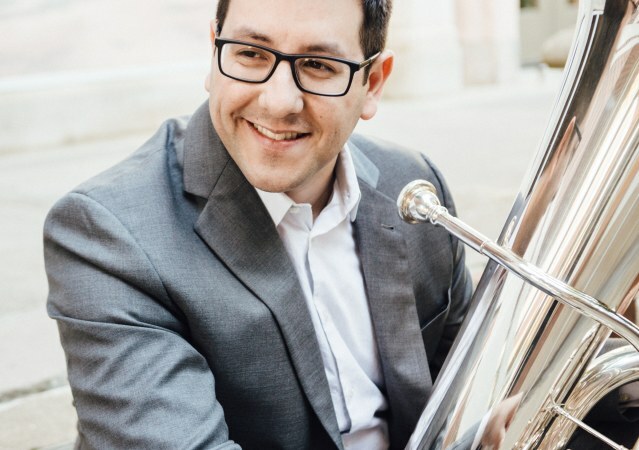 Dr. Justin Benavidez is the Assistant Professor of Tuba and Euphonium at the Ithaca College School of Music and is Principal Tuba of Symphoria and the Syracuse Opera. 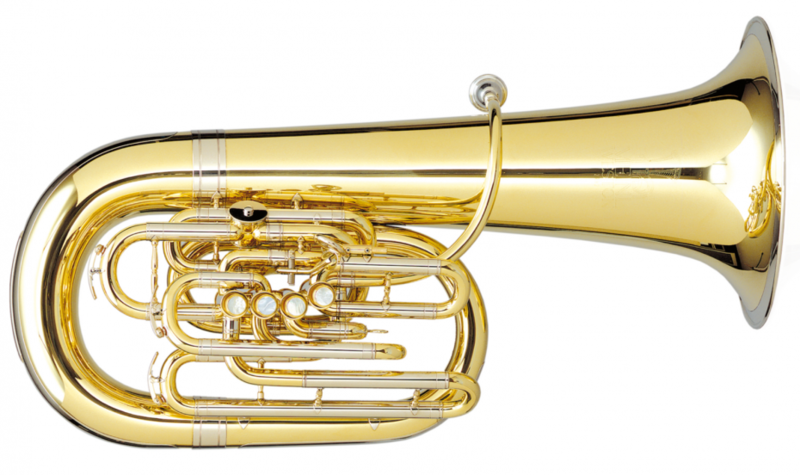 He is the Tuba Artist-Faculty member at the Round Top Summer Music Festival and Institute. He was the first tubist to receive both the New Horizons Fellowship and the Orchestral Fellowship at the Aspen Music Festival, where he attended for six summers. Additional performance credits include the Victoria Symphony Orchestra, Performance Santa Fe Orchestra, Ann Arbor Symphony Orchestra, the Detroit Civic Orchestra, the San Antonio Brass, and the U.S. Army Band Ceremonial Tuba-Euphonium Quartet, among other professional ensembles. As a solo artist, Dr. Benavidez has performed in recital at the United States Army Band Tuba and Euphonium Workshop, has performed as a featured soloist with the Aspen Music Festival Percussion Ensemble, and was the winner of the Aspen Music Festival Concerto Competition where he performed the Vaughan Williams Concerto for Tuba with the American Academy of Conducting at Aspen Orchestra. Dr. Benavidez has been a prizewinner at several national and international competitions including the Leonard Falcone Festival, the Susan Slaughter Solo Competition, and the International Tuba and Euphonium Conference Solo Artist Competition. He can be heard as the tuba soloist on the album Raise theRoof (Equilibrium) performing with the University of Michigan Symphony Band and has been featured on NPR’sPerformance Today.As an educator, Dr. Benavidez has conducted master classes and given performances at several of the leading music schools across the United States, including the University of Michigan, Indiana University, the University of Texas at Austin, and the University of North Texas. He has performed artist recitals at the Midwest, South Central, Great Plains, and Northeast regional tuba and euphonium conferences, and recitals at the International Tuba and Euphonium Conference in 2014 and 2016. In his scholarly work, Dr. Benavidez has been a regular contributor to the International Tuba and Euphonium Association Journal, most recently as the author of the recurring article When I Knew which focused on the shared career experiences of several of the leaders in the field.Dr. Benavidez completed his Bachelor of Music degree at the University of North Texas and was recognized as the Outstanding Graduating Senior by the UNT College of Music. He completed his Master of Music and Doctor of Musical Arts degrees at the University of Michigan, where he was the recipient of the prestigious Horace H. Rackham Merit Fellowship. He is a member of the American Federation of Musicians, the College Music Society, the International Tuba and Euphonium Association, and is an honorary member of Kappa Kappa Psi.